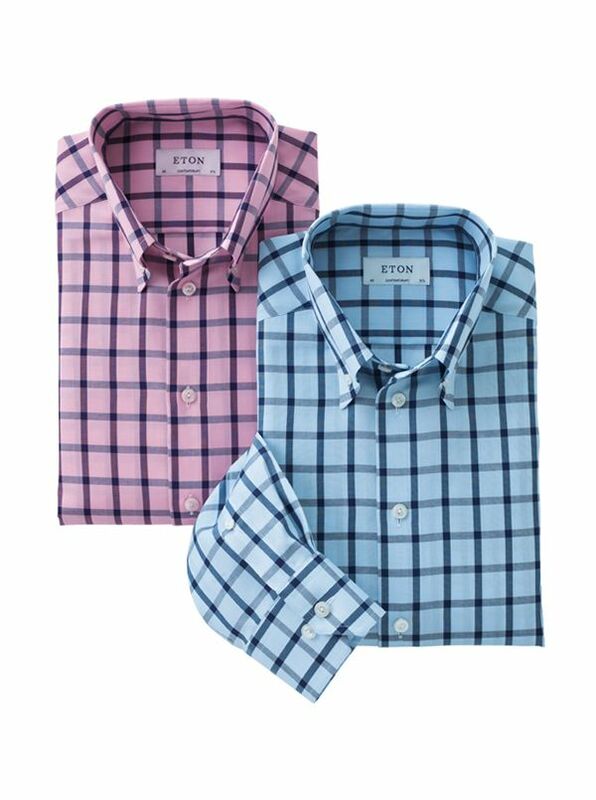 Windowpane Button-Downs by Eton in a trimmer model tapering from chest to waist. Long sleeves. Sport Shirts by Eton impeccably tailored with their no-iron process that makes pure cotton shirts easy care while retaining their natural fiber comfort. Imported.